Back when I started collecting love prose, and poems, and passages, there was no Pinterest and people only posted pictures on Facebook. Now, of course, there are little scripts and text boxes with pretty words everywhere. But this one, somehow, for some reason, stopped me in my tracks and I had to share. Also, I had to let you know, that our new life in Arizona is sunny, warm, and more beautiful than I could have ever imagined. 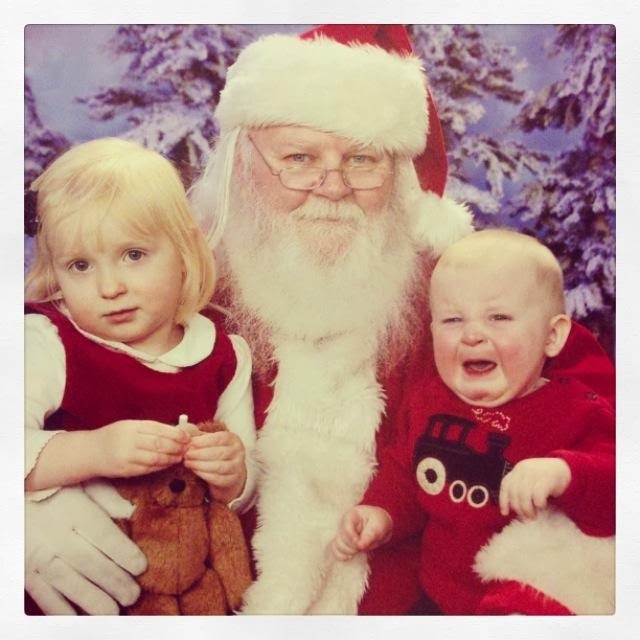 Santa was great - but Clara and Jack weren't so convinced. I know I titled this post, "Christmas fail," which sounds rather harsh. Especially since this was, perhaps, my most favorite Christmas yet. But I have to share what happened in the few days leading up to the holiday..
1. I had written about 50% of my Christmas cards the weekend of Thanksgiving...and I had kept a detailed list...and mailed the notes as I wrote them. Well. I lost the remaining 50% of the cards AND the list early in December. I searched high and low. HIGH AND LOW. I figured they would just "show up" somewhere. They didn't. So I just didn't send the rest of the cards. *Sigh* Ughhh. Fail. 2. I had made one monster purchase of Christmas gifts from one particular catalog. Everyone...EVERYONE was to get the same gift from me. Take my word for it, this gift was so insanely rad and perfect and bridged genders, ages, design taste, AND were personalized. I was seriously patting myself on the back for being so dang clever and getting all of my Christmas shopping done in one fell swoop. I didn't have to battle shopping crowds, I didn't have to rush about, I didn't have to scan the internet for the one perfect item for every person on my list. I was golden and so stress free :) But then, the package never came. After calling and inquiring about it a few days before Christmas, it turns out the package was documented as delivered three days after placing the order. It was stolen. All of my Christmas gifts were delivered to my front door and stolen by some jerkface. I was crushed. And pissed. Fail. 3. There were four or five people on my list who I wanted to get a special loose leaf tea that is made locally and is scrumptious (and happens to be my favorite thing on the planet). The restaurant is across town, and is only open four hours per day so I am not able to get there easily with my work schedule. Fortunately, I had a lunch date there a couple of days before Christmas and anticipated purchasing the tea at that time. When I went to buy it, they said that they were sold out. SOLD OUT. Nooooooo. Fail. on Christmas day...under our tree...being sweet to each other... so heart warming. After that, I just decided to let it all go. I didn't burden myself with any of the "stuff" that usually distracts me with the holidays (like shopping the deals, decorating like a boss, baking like a mad woman, attending parties and having pretty holiday outfits, and keeping a mental list of who I need to buy presents for). Instead, I sang songs with my kids...read Christmas stories, decorated gingerbread houses, went to the Nutcracker ballet with my 2 year old, took lots of walks to look at lights with my kids, watched cheesy Christmas movies, ate my mom's Christmas cookies, dressed by daughter in lots of red, and was jolly all of the place! This year it wasn't about the Christmas cards or gifts under the tree. 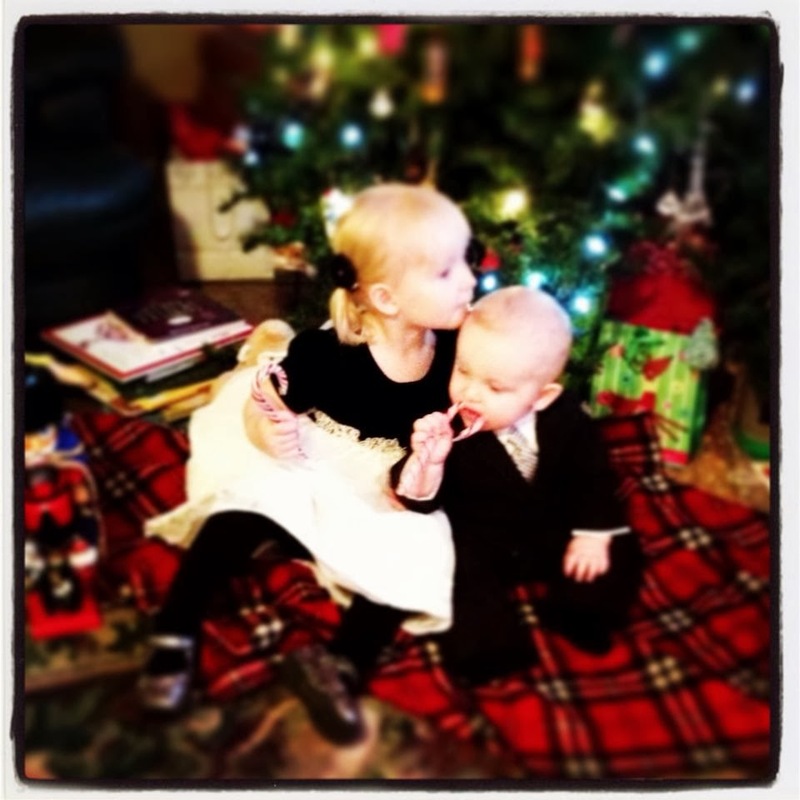 Unless my kids are sitting under the tree... they are, undoubtedly, my most glorious gifts of all. I hope your holiday was beautiful and quirky and full of cheer and love. Here's my handsome lil stud muffin...Jack...mmmmmmmm....I love him. I can't believe that Thanksgiving came and went. I can't believe 2014 is right around the corner. I can't believe I started blogging again only to leave my page silent for 2 weeks. So basically, the problem is just like it was before...every intention to blog...never a spare second for me to dedicate to doing so. There are so many items I want to talk about...how we selected a preschool for Clara, a daycare for Jack...how I am trying to finally survive in the crazy unstable world of healthcare as a newbie doctor....how we are living with my parents...how I cook several meals on the weekend to freeze and eat throughout the week....how I've gained a lot of unwelcome weight...how I'm in awe at how spectacular motherhood is...how I sometimes wonder if it really will slow down again....how there are days that go by where my husband and I are like two ships passing in the night.... how I don't sit down and watch TV during the week ... how I want more children...or that I realize I'm so deeply in love with my life in this small moment that I could cry and scream and laugh at the same time. So not perfect...but so perfectly mine. So this is clearly perfection for her. Read about it here at Little Big Company. 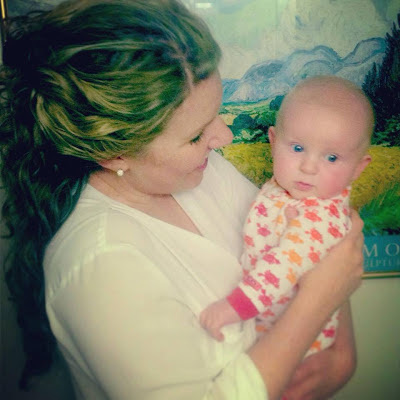 couldn't stay away - back to blogging! 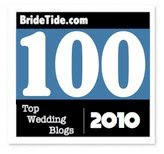 Oh bloggy universe how I have MISSED you. So so so so much. I missed reaching out into your plentiful universe of knowledge, guidance, and friendship. Since last we spoke, I have been kinda busy. We moved from New York to Arizona, I started my own podiatry practice, my husband is now a teacher, basketball coach, journalism/school newspaper instructor, and yearbook instructor, our daughter is in preschool and (nearly!) potty trained, and our 9 month old baby Jack is the apple of my eye and the comfort of my soul. Now, my sister is engaged! 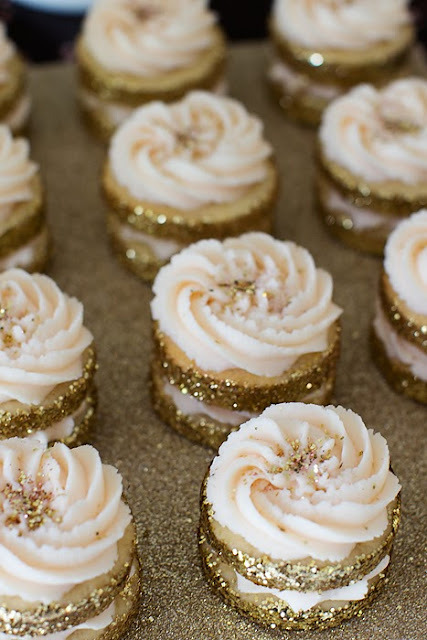 And where I was the slightly crunchy granola girl about our outdoor wedding soiree, she is the glittery glamour of everything elegant and sparkly. I'm so excited for her and her adoring life partner...I will start sending her little, "Dear Leslie" posts with pictures and ideas that I find that remind me of her. 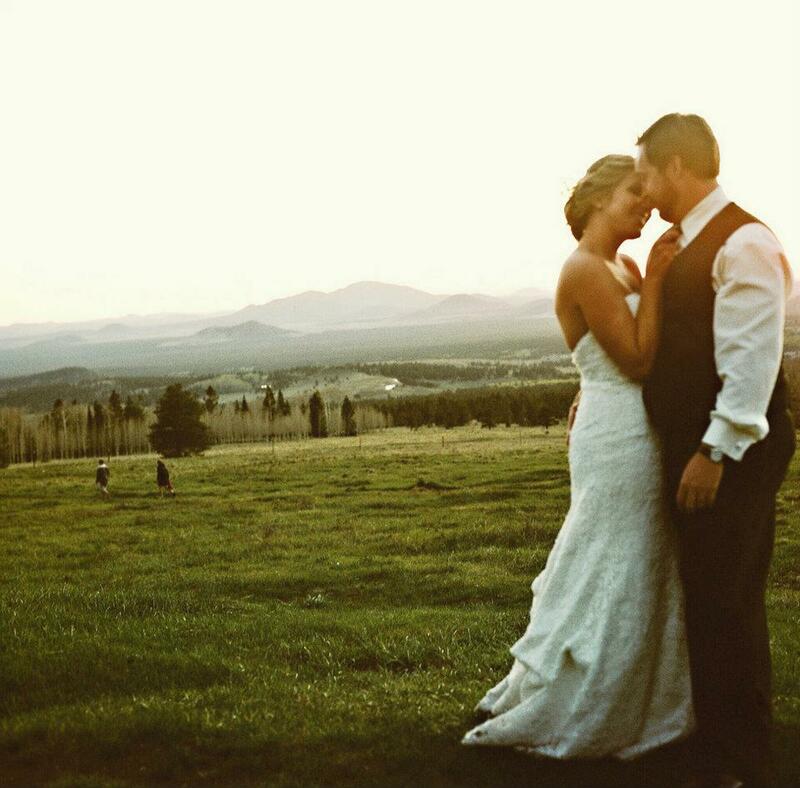 I'm excited to be back in the wedding scene again! Lots to say. I wonder if any of you are still there to hear? I do hope so!! 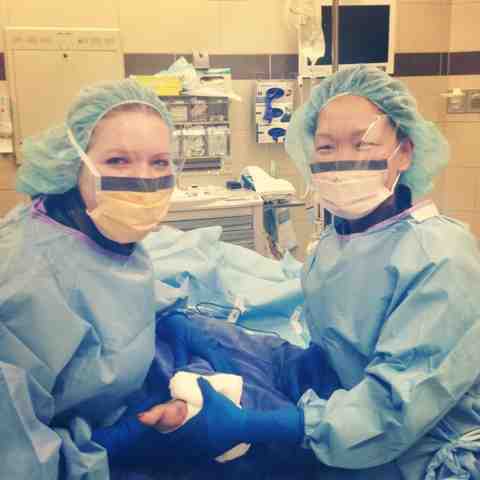 I just finished my last two surgical cases as a resident. Wow. That's pretty amazing...and kindof unbelievable. It literally feels like I just moved here...and in one hour I offically move away. I wanted to jot down these feelings...as I will never again be on this side of it all....so I sit here in the hospital library, 15 minutes before my check out papers are signed by the powers that be. Residency was hard. Some days were grueling. Some days I HATED this profession. Some days I hated lots of things...coworkers...patients...supervisors... insurance companies (I will probably always hate insurance companies). There were days where I felt like the world was against me...out to get me...out to serve my head on a silver platter. And those days weren't fun. It was hard to breath...at times it would be hard to smile. But at the end of those days...when I would go home...and my little girl would run to me with her huge gorgeous smile I would forget my sour day. Medicine is not an easy field...there are a billion variables...and many of those variables are constantly shifting. I'm delighted to be involved in healthcare and I feel so fortunate that I had this experience...it's definetely made a better person. A truly phenomenal opportunity this whole adventure was. My co-workers were the best part. The people that I worked with daily...my team...my friends. Only WE knew what the other was going through...that's a special bond that will keep us connected. I already miss these people...really really miss them. I'm still not entirely sure if I would chosen this path again...but I am so very excited for our future and my practice in Arizona. Thank you for being there along the way. I think today will be my last entry in this space. I have so delighted in having a little virtual world where I could share my thoughts and experiences...and getting to know so many of you has been such a blessing. SUCH a blessing. What started out as a place to store my wedding ideas, morphed into a place where my LIFE was shared...our engagement, our lovely little wedding,the births of our two precious babies...the challenges of residency...the balancing act of it all. It's been one learning experience after another. It will never end. Our book is big and my next chapter begins now. 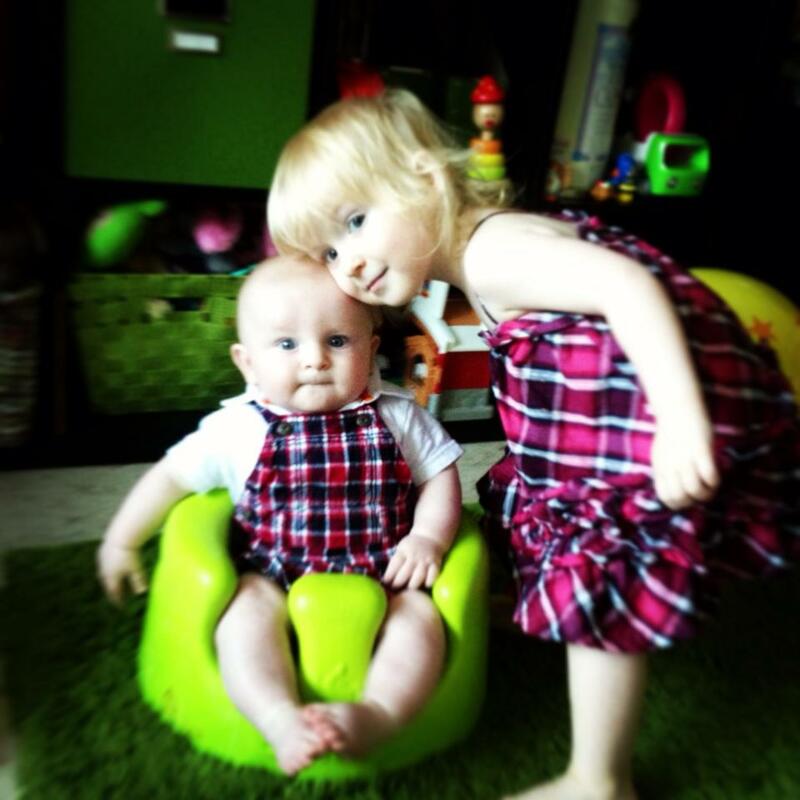 our little firecrackers on the 4th of July! Wow. I have one more week of residency. ONE MORE WEEK. Seven more days in New York. Five more work days. Than we are gone...living in a different state...on the other side of the continent. After we move out of our apartment, we will be going to visit with family in Rhode Island for a week...than we fly to Arizona! We are having one car shipped, and are selling the other...we hired movers to haul all of our stuff out west. The idea of driving across the country with two little ones and a truck full of stuff sounded like a nightmare...and we are so happy to not have the stress of that on our shoulders right now! In so many ways it feels like a blinked and three years zoomed by. There is still so much to learn...so much to know. But I am ready. I'm ready to move on to the next adventure of ours. Here is the scoop...we are relocating BACK to Arizona. I will be taking over the practice of a retiring practitioner...so I am now an official small business owner! My husband has a teaching gig all lined up! And we will be living with family for a couple of months until we decide what area we want to settle in. There is still a lot to figure out and a lot to organize. But we are pumped for this next chapter in our lives! I'm looking forward to our week in Rhode Island. A little relaxation before the next whirlwind of activity. I want to take the kiddos to the beach a couple times...eat lots of Iggys...drink lots of Del's...and play in grandma's pretty flower garden. Sounds like a perfect summer vacay to me! Picture this: I'm in the middle of my eight hour long surgical boards. All of a sudden I can't move my neck and I have extreme pain shooting down my left arm making my hand go numb and pain radiating into the left side of my face and jaw. And picture me wanting to freak out...but not letting myself freak out until after my exam. I was fairly convinced I was having symptoms resulting from a pinched nerve - but I called my sis (an internal medical resident) and told her I it was having some symptoms consistent with a heart attack. Of course, Tommy wanted me to go to the ER and get checked out. I didn't want to make a mountain out of a mole hill. But she and Tommy convinced me to go get worked up...and it was probably nothing...but I should get checked out anyway. So, I walk over to the ER and check in. I'm alone because Tommy had to take care of our sleeping kiddos. Well, I sortof lost of my bravery and shed a few tears during the initial check in process. I felt like an IDIOT. These are the nurses/PAs/doctors/aides that I work with all the time...so they were sweet to me. They kept referring to me as Dr. And I was fighting back tears the whole time. I kept thinking about my two sleeping babies at home...and if something happened to me, or if something was really wrong with me...what would we do...yada yada...worst case scenarios kept creeping into my brain. Not to mention my boards!? Geez - such stress! Long story short, I had an EKG...and it was beautiful. No heart attack. A CT wasn't warranted. It was a muscle spasm in my neck that pinched a nerve causing pain to shoot down my arm and up into my face. A soft collar neck brace and a slew of muscled relaxants, anti inflammatories, a steroid and a handful of pain meds later I am OK (I couldn't take any of the meds anyway...I'm still nursing Jack). My numb fingers have resolved, but I still can't move my neck normally. Ugh. So that's my story of how my boards exam [almost] gave me a heart attack. With two kids now, I'm snapping pictures CONSTANTLY. Well...I'm running around constantly, I'm actually snapping pictures whenever I can. Tommy and I have talked about getting some photography gear so we can attempt to take even better pictures of the kiddos. We talked about getting a couple new fancy lens', a tripod, and maybe even a background stand. 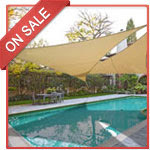 a shade sail - genius!! I'm pretty obsessed with "making" cards these days...and infusing them with pictures from real life. I bet my dad gets a kick out of this one :-) Plus, I love that I can have it sent directly to him. AND I love that this card was free with the code: FREE4U So you should totally go use that code and get a free card! For the first time in Clara's life, she had a fever. Tommy and I were beside ourselves with what to do. We couldn't even find our thermometer!! We've never had to use it before! Poor little muffin head was burning to the touch - it was heart wrenching. Then we experienced another first - puke. She threw up. She's never done that before. Needless to say, after a couple good barfing sessions, a nice lukewarm bath, a day of Max and Ruby episodes, and a trip to the store to purchase a thermometer, we are all happy and healthy once again in our house. We even made it outside to get some fresh air later this afternoon - the cool wind felt nice on this warm day. It got me thinking how dang lucky we have been. Clara has had a couple colds -sure- but she is nearly 2.5 years old and she's never had a temp! Or barfed! Or been really sick! And it made me say prayers for all the parents of babies who are sick - really sick - because nothing must be so excruciating. and lots and lots of I love yous. So as soon as I was done with my surgical boards last Tuesday, I started studying for my medical boards that are slated for next Friday. And next Friday night is the residency graduation ceremony. Big day...in many ways. It's hard to believe that residency is just about over (I actually have to stay a couple months past graduation because I had my babies and I have to make up the time I used to be home with them...but I will still "graduate" next Friday.) Three years have never flow by so fast. I feel like my first day was yesterday....when I was trembling in my Danskos...nervous if school prepared me for taking care of people...and then realizing the whole journey is part of that preparation. This past Thursday we had our Podiatry graduation dinner, with our attendings and co-residents, and our SPOUSES. It was so nice to spend one last evening all in one group together. And it was so amazing to have Tommy by my side at that dinner. Our spouses sacrifice so much for our success in this field. I'm not sure that any of us realized what would be given up in order to pursue this career that we chose...and I'm not sure that all of us would have chosen it again - and I'm certain that most of our spouses would not have chosen it for us again. Despite all of the challenges and frustrations of residency, tt's amazing how much we have grown and learned together. Not to mention all of the LIFE that we experienced in our personal lives...there were engagements, marriages and babies...new cars...new jobs...new houses....more babies...and lots of dreams coming true. Speaking of my husband...tomorrow is our three year anniversary! Three years. Three years and two kids! We've been busy. He is my stud muffin and I adore him more deeply than ever (which I didn't think was possible...but it is.) I type this through misty eyes when I say that my husbands love and unfaltering support keeps me standing tall. He is the epitome of wonderful. While I study in the evening, he is SuperDad...and my kids are the luckiest. 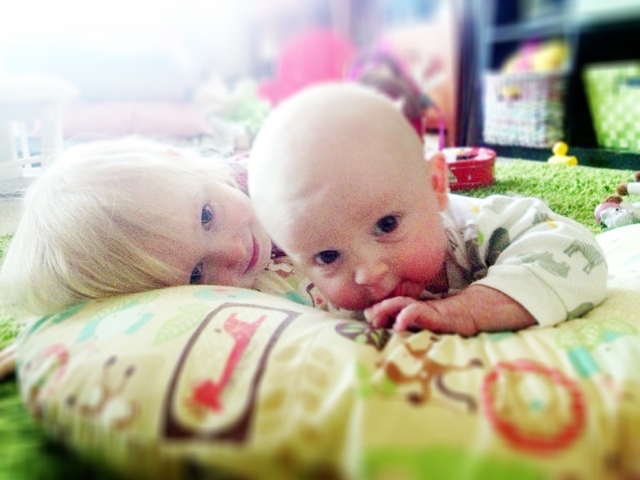 Jack and Clara continue to be the sunshine in our home. And the moonglow. And the stars that twinkle. 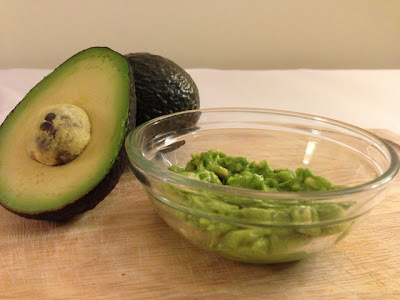 DIY spa: avocado face mask! This post was generously submitted by Michelle, one of the talents at Skana, the spa located at Turning Stone Resort and Spa in glorious upstate New York! Thanks Michelle - this sounds divine!! Summer is quickly approaching, and thanks to Mother Nature's last minute cold weather, some of us are still battling the wintertime blues. Dry, scaly skin is definitely not something that we women want to show off as the temperatures heat up and we start to reveal more and more of our skin. 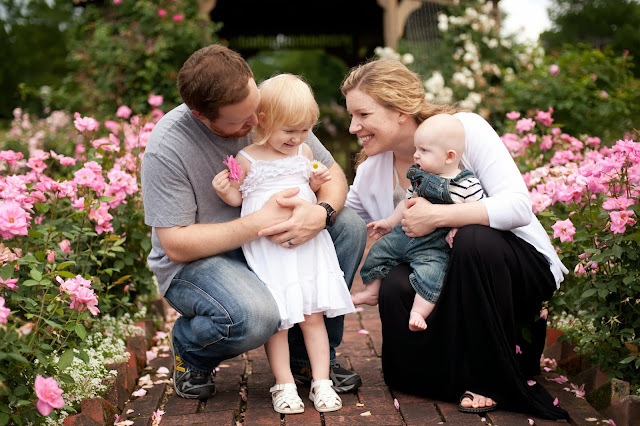 As wives and mothers extra time and money can be hard to come by sometimes. Everyone loves to get away for a day relaxation and wellness at the spa but sometimes that just isn’t an option. However there are alternatives, with some ingredients you probably have in your kitchen you can make your own facemask that will give you the same results. If your face is particularly dry, you will undoubtedly be looking for a facial mask that can slough away dead winter skin while softening the baby soft skin underneath. Avocados are packed with nutrients that can nourish your body from the inside out, so it is no surprise that an avocado facial mask can make a complexion glow. Add a little citrus fruit to the mix and your face will be thanking you for letting it show its softer, suppler side. Note: Since this mask features fresh ingredients, you will need to use it within a few days of creation. Use your knife the cut the avocado in half. Remove and discard the pit. Scrape all of the fruit into your bowl and add the remaining ingredients. Use a fork to mash all of the ingredients together to create a smooth and creamy paste. Wash your face and neck, making sure to rinse away all of the residue completely. Pat dry and use your fingers to smooth the mask on your face and neck, making sure to avoid the eye area. Lay down somewhere quiet, close your eyes and relax for the next 20-25 minutes while you allow your facial mask to seep in. When time is up, rinse your face using warm and cool water, alternating between the two. Pat dry and apply a toner then moisturize as usual. For a truly spa-like experience, turn off all the lights, light some scented candles and pop your favorite relaxing music into your cd player. 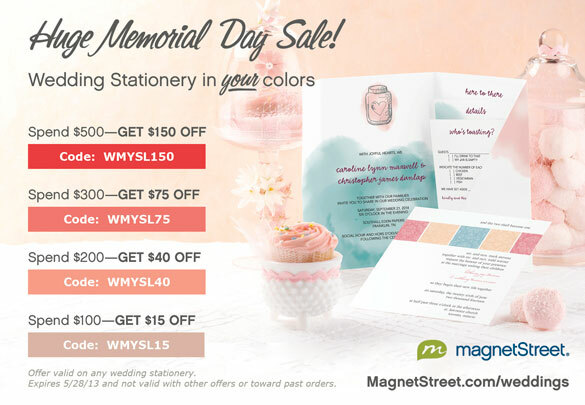 HUGE Memorial Day SALE at MagnetStreet! I am currently locked away in the basement of our hospital library...studying and praying for my upcoming surgical and medical boards. I'm actually sitting for three separate boards in the next 30ish days...which means I am a big fat ball of nerves. I will be back blogging once these crazy boards are over and calmness washes over my life again. By the way - my babies are doing beautifully...and my husband (and mother law!) are deserving of some special award for awesomeness! 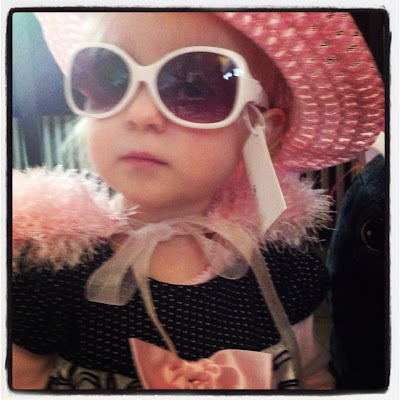 Clara turned two and it was a zoo! in her new dress up clothes! Clara turned two this month. My lovely little lady... I still can't believe it...two!? jack got lots of snuggles! My mother in law out did herself. It wasn't just a theme for the cake and napkins - which is probably how I would have played it despite my Pinterest addiction. They actually MADE her a zoo!! They took large black desks and made cage bars using black streamers. Each cage had a large scale stuffed animal in it - along with a name plaque. There was a huge snake (it was a puppet so Clara could "feed" it! ), a monkey, seal, and large tiger. There were games played with peanuts and hand painted props. It was simply darling. I took a long video with my iphone of Clara walking around the "zoo" for the first time - she was SO EXCITED! And then my iphone malfunctioned and the video didn't save - which kills me. She was given too many gifts. That's what happens when the party is a dozen family members...and shopping for a 2 year old is the best thing ever. Everything is magical and fun! She got a bag of dress up clothes items, stuffed animals, art supplies, new pajamas, a circus tent fort, puzzels, books, and a few other animal toys (we gave her a small Little People farm...she loves loves loves playing with Little People...I did too when I was little...I will probably over indulge her in that stuff...oh well.) 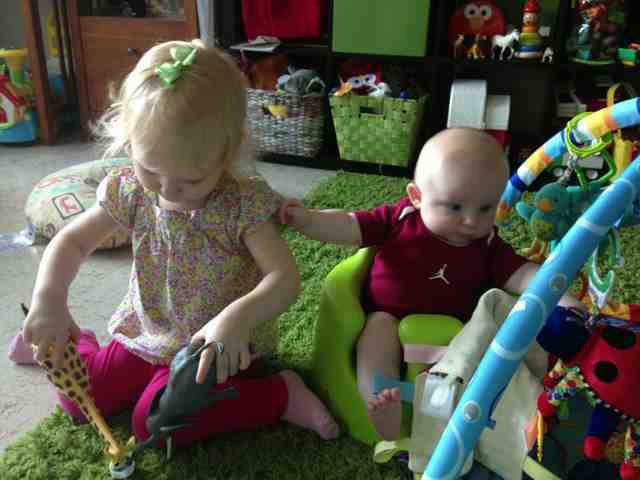 Jack was given a few gifts as well...which Clara immediately claimed as her own. That happens. poor thing was so shy around the family! she started crying while we sang to her! The cake was gorg! Her favorite thing was the fancy balloon that said "2" on it. It's lasted forever and she carries it around the house with her everywhere she goes. Cracks us up! She had a great celebration. We will miss spending birthdays with these folks when we move to Arizona. Jack's story is so relaxed, and beautiful. Our birth experience with him was a dream - when I think about it makes me smile. I won't give a play by play - it would be boring... but I would love to share some highlights. Well, the anesthesiologist didn't make it - because in walked my Ob. She told me it was time to push...I resisted...I wanted the epidural...I was scared of the pain! She told me he was already crowning and I NEEDED to push. I gave three mighty pushes and out came Jack!! It wasn't hours and hours of frustrating pushing - it was quick, and not nearly as painful as I thought it would be. It happened so fast!!! In fact, it was so fast that he had lots of facial bruising - which is normal for babies who come fast (I hear). 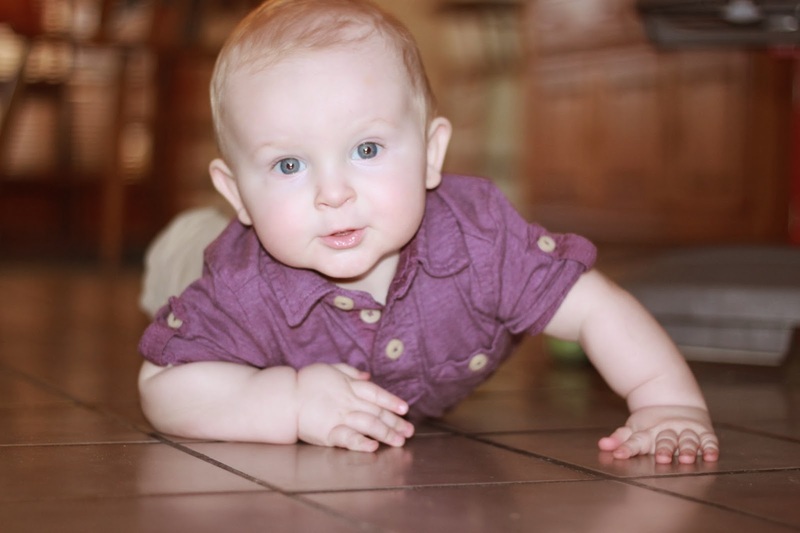 We were blessed to be able to achieve a breast feeding latch within minutes of his birth. I felt so mello...so..."this is normal." It felt like THIS is how babies are suppose to be born. No drama. Fairly painless...(not pain free by any means...laboring was more painful than the actual birth.) But it wasn't scary. It didn't seem like something happening TO me...this time I felt more present, like I was more in control. It wasn't the out of body experience I had before...I was there. My hospital stay in the maternity ward was a dream. I had a room to myself. I ate lots of chocolate cake... drank lots of ginger ale and never had to take pain meds stronger than Motrin. SUCH a different experience than with Clara!! (Where I couldn't walk, move, eat, sleep, shower, etc for several days!). Speaking of Clara...I missed her while I was at the hospital. Missed isn't really the right word. I longed for her. When my mom brought Clara to the hospital I was overjoyed to see her and hug her and introduce her to her new little brother. I was so curious to see her reaction to him! But really - I just wanted to hold her. She looked so big marching into my room...like a little lady...not the baby I left at home. And boy oh boy she did NOT like seeing me in a hospital bed. Poor thing got so worked up...kept saying "mama is so sick!" and even started crying while she was hugging me. It was sweet even though it was heart breaking. We all tried to assure here that I was fine...but it's hard to convince a smart little girl who sees her mother in a hospital gown, in a hospital bed, with IVs and monitors all around. She was a little curious about her baby brother...gave him a couple kisses on the head...and that was that...then she went back to being concerned about me. Poor thing. I missed her terribly when she left. I think I may have even dropped a tear when I said good-bye. Little Jack is as sweet as can be. He's been like that since day 1. His facial features are so distinct....so mature....and his disposition is so pleasant. Like an old soul. It was such a calm experience to spend those first couple of days with him in the hospital. I felt like I knew what I was doing. It wasn't my first rodeo...I wasn't freaking out about how to feed him, change him, dress him, bathe him...I knew those things now. I LOVED that he never cried in my arms. I LOVED that when the nurses, aids and doctors would come check him out and he would get somewhat fussy, the second he was back with me he would stop immediately. He knew that I was his mama. Made my spirit soar. By the way, the chocolate cake was awesome.